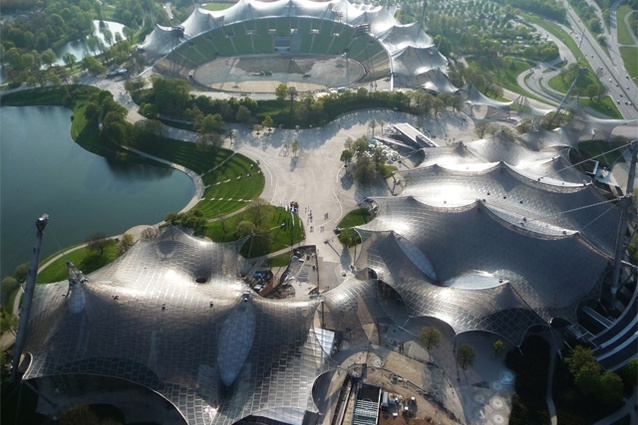 Frei Otto awarded 2015 Pritzker Prize, a day after his death Archi-new - Free Dwg file Blocks Cad autocad architecture. Archi-new 3D Dwg - Free Dwg file Blocks Cad autocad architecture. 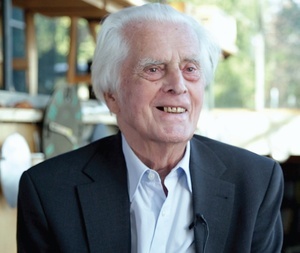 The 2015 Pritzker Architecture Prize has been awarded to German architect Frei Otto, who died on 9 March 2015, aged 89. Otto is the first architect to be posthumously awarded architecture’s highest accolade for a living architect. The announcement which, was scheduled for 23 March, was brought forward following news of his passing. Otto was a collaborator and a pioneer of lightweight tent-like structures, which is in stark contrast to the heavy stone and masonry buildings that were prevalent throughout Germany when he was growing up. He believed strongly in making minimal impact on the environment and his lightweight structures were an ecological and economical way of achieving this aim. He held unwavering utopian values, and never stopped believing that architecture would make a better world for all. The jury selected Otto for the prize “for his visionary ideas, inspiring mind, belief in freely sharing his knowledge and inventions, his collaborative spirit and concern for the careful use of resources.” Shortly after the jury decision was made, the executive director of the jury, Martha Thorne travelled to Otto’s home in Warmbronn near Stuttgart, Germany to deliver the news in person. Otto is best know for his temporary exhibition pavilions, including the German Pavilion at the 1967 International and Universal Exposition (Expo 67) in Montreal, Canada and the Japan Pavilion at Expo 2000 in Hannover, Germany with Shigeru Ban, the 2014 Pritzker Laureate. 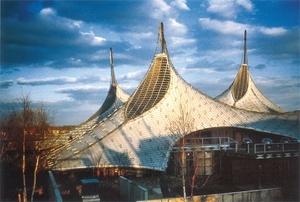 His large-scale roof structures for Munich Olympic Park (with Benisch + Parnters and others) in 1972, which combined lightness and strength, “were a building challenge that many said could not be achieved,” cited the jury. Otto’s life and work will be celebrated in the Pritzker ceremony on 15 May 2015, to be held at New World Centre at Miami Beach, Florida, USA, designed by 1989 Pritzker Laureate Frank Gehry.